A dish for every kind of taste. Our 3-course Silver menu is diverse and especially affordable. Starting from just €23.50 per adult. A dish for every kind of taste. 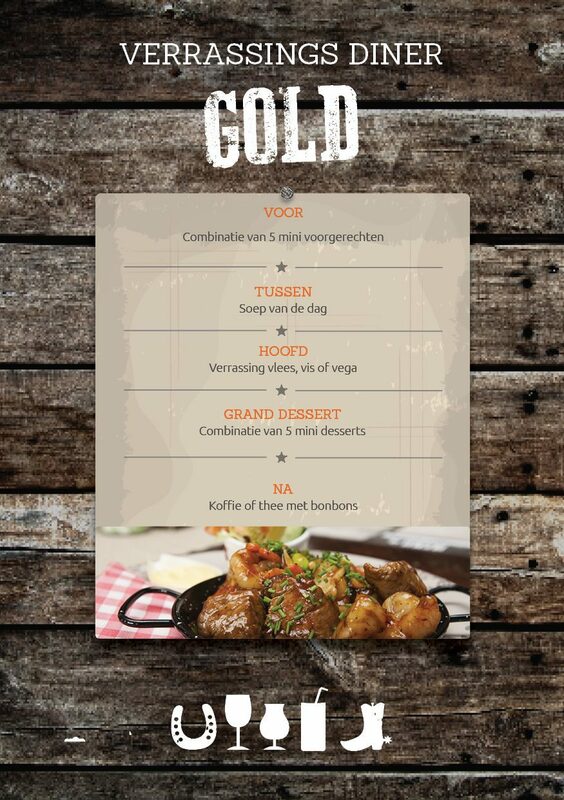 Our 3-course Bronze menu is diverse and especially affordable. Price €19.50 per adult. Simply delicious! Delightful home-marinated chicken satay. Can be booked for 2 or more people. At only €12.00 per person and €9.50 per child of up to and including 11 years old. Reserve your 3-course dinner directly online!